Choosing the paint colors and styles for your home or office is a big decision. After all, your décor will be themed along the same color scheme as your walls and trim. It is not something you can change overnight. Most people choose a neutral color set, while others prefer to make a statement with their choices. When it’s time to make these decisions, you should seek professional help. King Group, CES can help you pick the colors that match your décor. They have a wide variety of color palettes and design books to look at. King Group, CES can help you decide what colors go together nicely and which combinations should be avoided. Many colors will make a room look larger; others will help to make a room seem cozy. The feel of any room can be decided by a simple, single color. 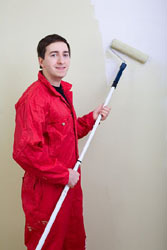 King Group, CES’ professional painting contractors can make sure the feeling is perfect. While choosing the best color for the room is one of your most important choices concerning painting, the contractor’s workmanship is the most important for King Group, CES. They make sure each job is finished as flawlessly as possible, so your rooms look incredible. King Group, CES prides themselves on the quality of the finished product. Quality and King Group, CES go hand in hand. 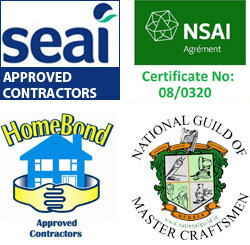 You will find some of the absolute best contractors available. King Group, CES will go the extra mile to make sure you are satisfied with the work performed. They do not cut corners or take shortcuts. All work is guaranteed and you are sure to be ecstatic about the finished product. King Group, CES puts the utmost into each and every project, not just the big ones. You can rely on King Group, CES to give you the best value for your money as well. Every project receives a written estimate and you can rest assured that no changes will be made without your approval. King Group, CES has been in business for three generations and has over a thousand satisfied customers. You needn’t look any farther to find the best building company for your project. Dependable service, quality workmanship, and the best in customer service are all offered here. Choose King Group, CES for your next painting project. For further information on Painting Contractors call King Group CES on 045 838376 or click here to complete our free online enquiry form. "Following works the difference to heat in our home was noticed almost immediately. We have now halved our heating times and are actually looking forward to the next heating bill. We are extremely pleased with the job." "I found Kinggroup to very accomodating and professional from the initial call. The work itself was completed without any hassle and in a timely manner. My home was extremely cold/drafty before I got it insulated and now the heating bill has dropped significantly. I have already recovered the cost of getting my home insulated. I was happy in every aspect of dealing with them."